After the enormous success of the Twilight movies, Robert Pattinson easily could’ve focused on more roles in which he played moody romantic characters similar to brooding vampire Edward Cullen. To his credit, Pattison has shown greater ambition; sure, he’s made some more traditional efforts like Water for Elephants but he’s also veered off-course with artsier fare such as Cosmopolis. With 2014’s The Rover, Pattinson definitely goes down the non-commercial path. Set in Australia 10 years after the collapse of civilization, Eric (Guy Pearce) wanders the desolate landscape. 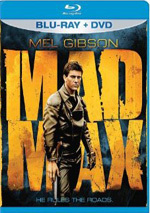 When violent criminals steal his car, he becomes obsessed with its reclamation. The loner picks up a passenger when he finds Rey (Pattinson), brother to one of the thieves. Since he feels the young man can help with the pursuit of the stolen car, Eric takes Rey with him and we follow their exploits. If one wanted to refer to The Rover as an art house version of The Road Warrior, one wouldn’t get many arguments from me. Although Rover definitely doesn’t remake the 1980s hit, it comes with a similar focus on a post-apocalyptic Australian setting packed with violent, cold-blooded characters who do what they must to survive. One major difference comes from the plots of the respective movies, meaning Road Warrior has one and Rover doesn’t. Truthfully, Eric’s quest for his car serves as a classic McGuffin; it motivates the action/events but seems largely meaningless in the greater scheme of things other than as a sign of the lead character’s personality. At the movie’s end, we find out the reason Eric wanted to reclaim the car, but mostly Eric’s single-minded determination acts a strong indication that he can’t let things go. And it also gives the movie an excuse to force Eric and Rey together for the duration. That’s the McGuffin part: the pursuit of the old car allows the story the opportunity to stick the characters together and develop them. In its own low-key manner, at least. Even though we spend tons of time with Eric and Rey in this dark road movie, we don’t get as much traditional exposition as we might expect. Along the way, some character elements/facets expand, but Rover usually avoids scenes that provide cliché reveals. Which I like, though the slowness of Rover can be an issue. The movie sets up a good feel for its setting and doesn’t attempt to sugarcoat the ugliness of the story’s world. It also doesn’t shy away from cruelty in its lead, as it makes Eric a dark “hero”. He kills others in cold blood and does little to prompt a sympathetic reaction from the audience. Eric provides a harsh but not inhuman personality at the center of the tale. Inevitably, Rey acts to soften up Eric, as the more gregarious, semi-dimwitted younger man brings out a vaguely paternal instinct in the lead. Again, the movie doesn’t batter us with these moments, and it doesn’t ask for our affection or emotion; it dollops out any sort of “warmth” in the most casual manner and lacks the sentiment we might usually find. As for the actors, they do well, though I must admit I don’t get why Pattinson plays Rey like an outcast from Deliverance. Pattinson lays on a thick US southern accent without explanation, so it never becomes clear why this hick lives in Australia. Beyond that odd choice, Pattinson does fine in the role. Rey provides the broader part and Pattinson threatens to fall into traps that come with southern roles; it can be easy for actors to rely on cheap stereotypes and some of those do emerge in Rey. Still, Pattinson offers a reasonably solid take on the part of makes him more than just an accent. Pearce does the most to carry the movie. He plays Eric as cold and hard and does so without attempts to seem sympathetic. Nonetheless, he doesn’t appear inhuman or one-dimensional; Pearce reveals layers to the character without abandoning the inner pain or darkness. Rover presents an unusual experience because it dispenses with so many traditional filmmaking elements. We get next to no plot and little character exploration/exposition. This should be a recipe for slow, self-indulgent disaster, but the movie instead manages to present a strangely compelling journey. The Rover appears in an aspect ratio of approximately 2.40:1 on this Blu-Ray Disc. The picture looked positive. Like most modern action flicks, this one opted for stylized hues, with an emphasis on an arid, yellow look to fit the scorched Australian setting; in addition, nighttime shots opted for a teal tint. Within those constraints, the colors seemed fine; they showed appropriate range. Blacks were dark and full, and shadows showed good range. This was a consistently strong presentation. The DTS-HD MA 5.1 soundtrack of Rover suited the story, which meant it stayed restrained. Occasional “action” elements appeared, usually related to cars, but these didn’t dominate. Much of the film focused on atmospheric material; though the track filled the speakers when necessary, it mostly remained low-key. Audio quality pleased. Speech was concise and natural, without edginess or other issues. Music showed good range and vivacity, while effects worked nicely. Again, these didn’t get a ton to do through most of the film, but they displayed good clarity and punch. This added up to a satisfactory mix but not one that excelled. Only one extra shows up here: a featurette called Something Elemental: Making The Rover. It fills 44 minutes, 48 seconds with info from writer/producer/director David Michod, producers David Linde and Liz Watts, director of photographer Natasha Braier, production designer Jo Ford, and actors Guy Pearce, Robert Pattinson, David Field, Tawanda Manyimo, Scoot McNairy, Susan Prior, Gillian Jones, and Richard Green. We learn about the film’s origins and development, story/character areas, cast and performances, cinematography and production design, and sets and locations. “Elemental” never becomes the most fascinating program, but it offers a reasonable look at the project. We get a good variety of topics and learn enough about the film to make the show worth a look. The disc opens with ads for Locke, Enemy, Under the Skin and Spring Breakers. No trailer for Rover appears. A dark, cold journey without sympathetic characters or a strong narrative, The Rover probably should flop. 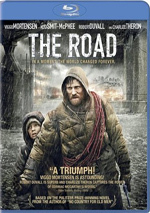 Instead, it manages to create a dark, involving take on the “road movie” and becomes a minor gem. The Blu-ray brings us solid picture as well as appropriate audio and a pretty good documentary. 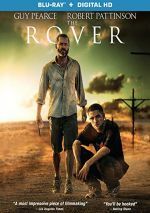 The Rover won’t be for everyone but I think it delivers a satisfying tale.